from $13.50 to $750. That’s about 5,000 percent. 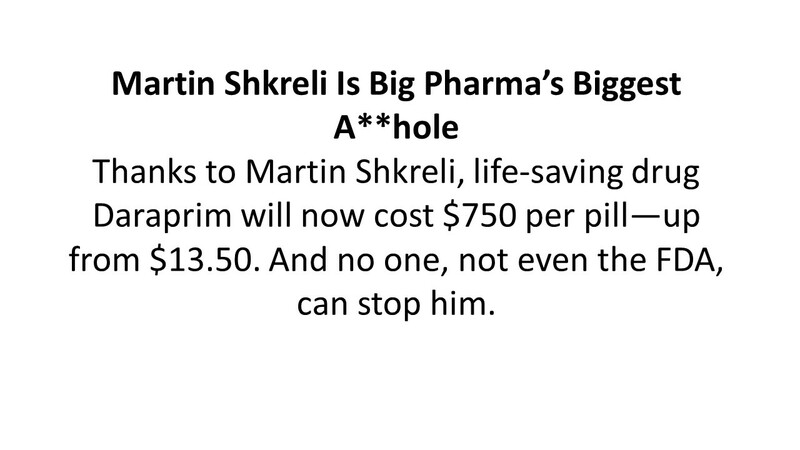 Now, he says he will lower the price, but there’s no indication of how much or, as of this writing, when (According to Web MD Daraprim is used with other medication (such as a sulfonamide) to treat a serious parasite infection (toxoplasmosis) of the body, brain, or eye or to prevent toxoplasmosis infection in people with HIV infection). 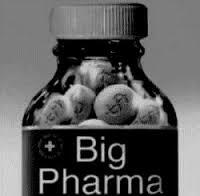 As it turns out, though, the “World’s Biggest A–Hole case is not in the least bit unusual, it happens with pharmaceutical companies with great regularity as a tactic to increase profits on older drugs, drugs that have long since paid for themselves. The global market for pharmaceuticals topped $1 trillion in sales in 2014. The world’s 10 largest drug companies generated $429.4 billion of that revenue. Five of these companies are headquartered in the U.S. They are: Johnson & Johnson, Pfizer, Abbot Laboratories, Merck and Eli Lilly. Johnson and Johnson, America’s biggest pharmaceutical manufacturer raised prices on over 130 brand name products this year alone. Merck & Co. raised the price of 38 drugs. The increases in the U.S. have added over a billion dollars of revenue in the last three years. So, while Mr. Shkreli may get the award for being the biggest you know what, he is in good company — only the others were smart enough not to brag about it. Before I go on it is important to point out that my interest in the topic is both personal and professional. 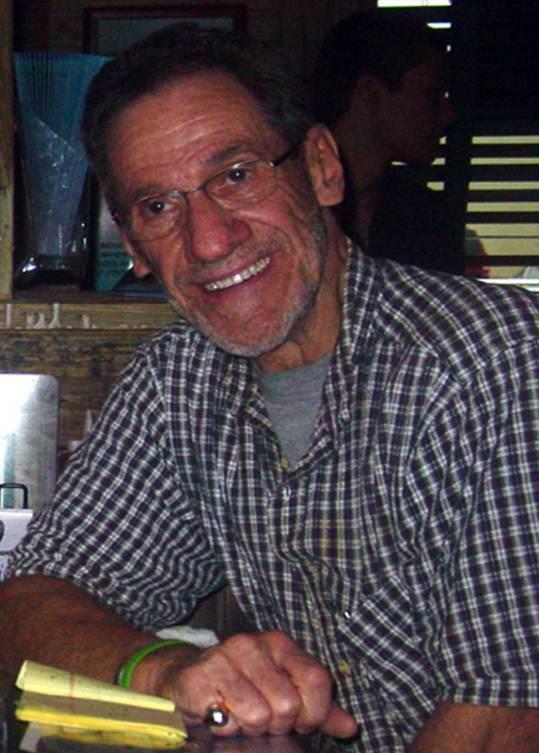 I am a senior citizen, who has had a heart transplant and who also has Chronic Obstructive Pulmonary Disease (COPD). I take a good number of prescription drugs and despite having Medicare Part D insurance I still pay thousands of dollars a year for my prescriptions. Most of the drugs I take have been around for quite a while, but not long enough to allow the sale of generics and because there are few if any pricing restrictions, most of my meds are outrageously high priced. One of the drugs I take is called Foradil. It was approved by the FDA in February 2001 for the maintenance treatment of asthma and the prevention of bronchospasm in reversible obstructive airways disease. Despite being on the market that long, it still retails for about $250.00 for a 30 day supply. Spiriva is another COPD drug and is often taken with Foradil. It retails for about $350.00. I take about a dozen drugs and these two alone total over $600.00 a month. Insurance cuts that cost in half, but they are still expensive. Because of these prices I know of many seniors and others who have to choose between eating and paying for their prescription meds. In Europe, Asia, Australia and anywhere else with some form of socialized medicine strict government regulation helps prevent those kinds of actions and subsequently keeps prices down. Things are a whole lot looser in the U.S. In 2013 each of us spent over $1,000 on prescription drugs. That works out to $429 billion. In case that figure boggles your mind, let me boggle it more by showing you what it looks like in black and white — $429,000,000,000. By anyone’s measure that’s a lot of money. To put it all in perspective Prescription medications make up close to 10 percent of the $2.9 trillion annual total spent on healthcare in the U.S.
Americans spend more on drugs than any other country in the world and – we also pay more for them than any other country. Before we go into detail on why prescription drugs cost more here than anywhere else, let’s look at the biggest drug and biotech companies in the world. They account for more than a third of the industry’s total market share according to the World Health Organization. We won’t go into detail but here’s the top ten and their 2014 revenue. Johnson & Johnson $74.331 billion. The world’s largest pharma company, Johnson & Johnson, spent $17.5 billion on sales and marketing in 2013, compared with $8.2 billion for R&D. Most of that marketing effort is aimed directly at physicians, the people who write the prescriptions, rather than customers like you and me. It should be noted that the U.S. and New Zealand are the only two countries that allow any form of advertising for prescription drugs. No sane person can object to a company making a profit, it’s part of the American way, but the drug industry’s profits are excessive. At the risk of being accused of repetitiveness I must say again. We pay significantly more than any other country for the exact same drugs. United States spends more than $1,000 per person per year on pharmaceuticals. Per capita drug spending in the U.S. is about 40 percent higher than Canada, 75 percent greater than in Japan and nearly triple the amount spent in Denmark. So why is that? Well, first the U.S. is a very rich and therefore lucrative market because we use more medicine than any other developed country. We account for 35 percent of the world market for pharmaceuticals. Americans have become quite accustomed to leaving their doctor’s office with a handful of prescriptions. Due to our ill health and our wealth, companies often choose the U.S. in which to launch new products. And, because the US market is so big and profitable, investments in research and development have long been steered towards meeting clinical needs. But if we Americans take more prescription drugs, we also pay an arm and a leg more for them. Why? Because other countries have tough regulations about pharmaceutical prices and they set reimbursement limits. Another smart thing they do is to agree to pay for a drug only if the price is justified by the medical benefits. In the U.S., Medicare which is the world’s largest buyer of prescription drugs is prohibited from negotiating prices with drug companies. If the company says that a pill is $100, Medicare has no choice, but to pay it if the patient needs it. They have no wiggle room and that costs taxpayers billions of dollars a year in a direct giveaway to the pharmaceutical behemoths and speaks to the power of their lobbyists. Speaking of lobbyists, here’s the real rub. The pharmacy industry views congress as a place to invest against future price controls and this is what really adds to the price of your prescriptions. Since 1998, the industry spent more than $5 billion on lobbying in Washington, according to the Center for Responsive Politics. To put that in context, that’s more than the $1.53 billion spent by the defense industry and more than the $1.3 billion forked out by Big Oil. From 1998 to 2013, Big Pharma spent nearly $2.7 billion on lobbying expenses — more than any other industry and 42 percent more than the second highest paying industry: insurance. And since 1990, individuals, lobbyists and political action committees affiliated with the industry have doled out $150 million in campaign contributions. Now here’s how it works for you and me. In the U.S. insurers only accept the price set by the drug makers. If the drug is exclusive, meaning there is no competing medication from other companies. Insurers then cover the total cost by forcing a higher co-pay on patients. 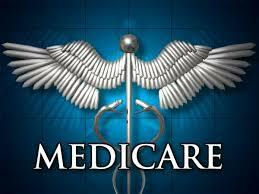 Unlike Medicare, insurers have bargaining power when there are competing drugs and therefore can reduce the co-pays. 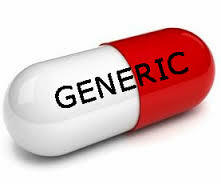 Then, there is the Generic drug market, those are drugs in which the patent has run out and other manufacturers are allowed to produce the product. As an example the antidepressant Remeron is also known by its generic name Mirtazapine. Remeron is the brand name given it by the original manufacturer, but Mirtazapine can be made and distributed by any pharma company and sold for a much lower price. Competition in that area is fierce and generic drug prices are usually low. Today generics account for about 85 percent of drugs dispensed in the U.S.
Mirapex, for Parkinson’s disease: $157 in Canada vs. $263 in the United States. Celexa, for depression: $149 in Canada vs. $253 in the United States. 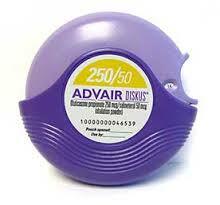 Diovan, for high blood pressure: $149 in Canada vs. $253 in the United States. Oxazepam, for insomnia: $13 in Canada vs. $70 in the United States. Seroquel, for insomnia: $33 in Canada vs. $124 in the United States. Tufts University in Boston released a study in the year 2000 that placed the cost of approval for a single drug at $802 million, and that was fifteen years ago. To be fair it must be revealed that the dollar amount adds in each successful drug’s prorated share of failures (only one out of fifty drugs eventually reaches the market), but that still does not explain why the retail price is higher here than anywhere else. The only logical explanation I can come up after some a fair amount of research is that pharmaceutical companies can get away with much higher prices in the U.S. and they can’t elsewhere. Period! So what are your options, what can average patients who have difficulty affording some drugs do to stay healthy and be able to eat and pay their rent and other bills at the same time? Also ask them to allow importing of essential drugs from foreign companies through approved pharmacies. Ask big pharma companies to see if you qualify for their reduced prices for people who have trouble affording them. But, if you are like me you want even more detail. Ok. Here’s the best I can do. You can shop for the best price and because of the internet that’s become a whole lot easier. You can look up a specific drug and find the best price at a pharmacy near you. Here are two resources. I’m sure you can find a lot more https://www.lowestmed.com/Search#/ orhttp://www.goodrx.com/ All you have to do is type in the drug you need and your zip code and it will find the price of that drug in pharmacies near you. Transplant recipients might be interested in the cost of anti-rejection drugs. The price is hard to stomach but easy to find. In my zip code 32244 100 Mg Cyclosporine capsules range in price from $526.00 at Wall Mart to $584 at Target. If you are a heart patient and take Carvedilol in my neighborhood it ranges from $4.00 at Wal Mart to $9.54 at Kmart. Lisinopril also has a wide range. At the Publix Supermarket pharmacy near me it is FREE…that’s right FREE. But at CVS it is $12.00. Those price variations might make it worth a little longer drive to get a better bargain. You can also get help with coupons which are an obvious choice to save money when grocery or clothes shopping, but they’re often overlooked as a way to cut costs of over-the-counter and prescription drugs. 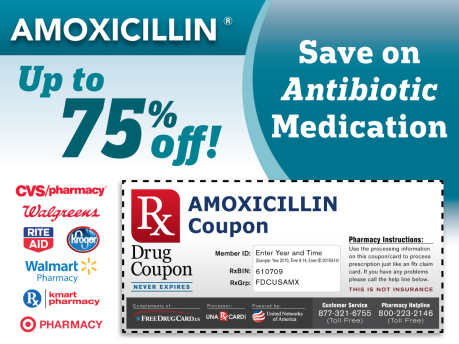 Manufactures frequently offer one time and repeat coupons that can save consumers hundreds of dollars on their medicines. “For our family it has been incredibly effective [in saving money] for a number of regular prescriptions,” says Stephanie Nelson, founder of the coupon website CouponMom.com. The costs of prescription drugs and over-the-counter medications have been steadily rising and patients facing tight budgets are often forced to make hard decisions when it comes to what they can afford. The savings vary by manufacturer, but many companies offer discounts at each prescription refill while others offer discount cards that take $20 off co-pays. Others offer one-time coupons to cover the first use of a drug. Consumer Reports Magazine says that there are other ways to save money, too. Whichever drugstore or pharmacy you use, choosing generics over brand-name drugs will save you money. Talk to your doctor, who may be able to prescribe lower-cost alternatives in the same class of drug. In addition, follow these CR tips. available price when they called the pharmacy. Sometimes they were given a discounted price, and other times they were quoted the list price. 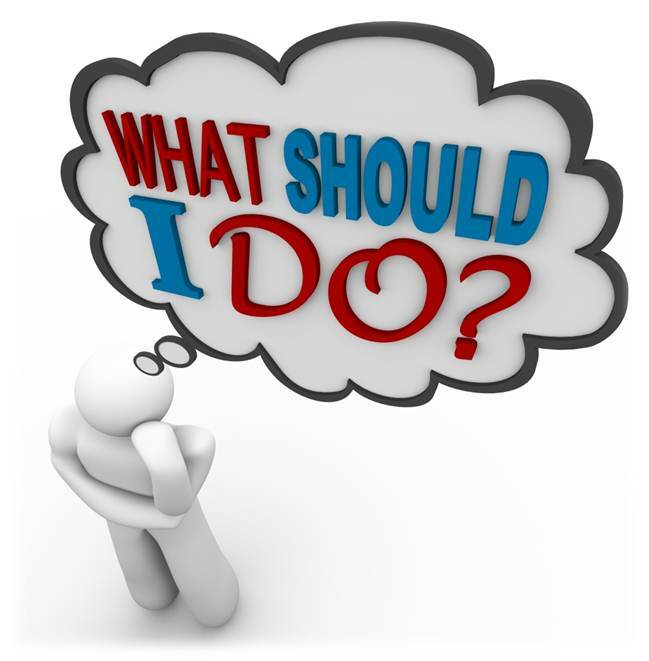 Be sure to explain—whether you have insurance or not—that you want the lowest possible price. Our shoppers found that student and senior discounts may also apply, but again, you have to ask. Finally, what do you do if you’ve done the shopping, used coupons, followed all of the Consumer Report Tips and are still unable to pay for your prescriptions? Well, there is some limited assistance. Here are some resources. We have a two-fold national disgrace here in America. One is the high cost of prescription drugs and the other is that many people don’t take their medications because they can’t afford them and some have to choose between buying medication or food. We hope that this blog helps you find the financial or other assistance you need to be able to take your meds, get well and also have food on the table. · More than half (54 percent) of Americans say they currently take prescription medicines. According to a March 2008 report, “The Public on Prescription Drugs and Pharmaceutical Companies,” issued jointly by USA Today, the Kaiser Family Foundation and the Harvard School of Public Health, one in five Americans are currently taking four or more prescription drugs on a daily basis. · The report shows that a significant portion of those with prescriptions have difficulty affording them. Four in 10 adults (41 percent) say it is at least somewhat of a problem for their family to pay for prescription drugs they need, including 16 percent who say it is a serious problem. That leads to personal strategies for cutting back: Three in 10 (29 percent) say that they have not filled a prescription because of the cost in the last two years, and 23 percent say they have cut pills in half or skipped doses in order to make medication last longer. Obviously there is a problem but it isn’t just one dreamed up by insurance companies to sell more policies, I hear similar stories every day on my Facebook group Organ Transplant Initiative (OTI). Some people are not taking their meds and as a result their health is suffering. That’s just not right. My last blog about the high cost of prescriptions includes one example of a drug for a rare disease that cost $250,000 a dose. Cancer though is not a rare disease and some cancer drugs cost as much as $10,000 a dose. Few can afford medicine that costs that much and most have no idea where to go for help. I wish I could report that you don’t have to go without your drugs because you can’t afford them. Unfortunately, while there is help available, not everyone will get it but you’ve got to try. I took the liberty of doing some research to find that help and even though I know there are resources I missed I’m hoping that those I have attached here will be of some help to someone. If your doctor prescribes an expensive drug and you’re uninsured or can’t afford the co-pays, don’t despair. So-called patient-assistance programs, many of them run by pharmaceutical companies, are available to help you get the drugs you need. Each patient-assistance program sets its own eligibility requirements. The income limits vary widely, from 100% of the federal poverty guidelines (which in 2009 stood at $22,050 for a family of four) to over 300% of the guidelines, according to Rich Sagall, MD, president of NeedyMeds, an online clearinghouse of information for people who cannot afford medicine. Most patient-assistance programs require the applicant to be an American citizen or legal resident, and most are restricted to the uninsured. “Most programs help people with no insurance, but some will help the underinsured,” says Dr. Sagall. For instance, some companies will provide medications to patients who have reached the limit of their prescription insurance; others help people on Medicare Part D, the federal drug-subsidy program. In general, however, if you qualify for government-funded programs (such as Medicaid), you probably will not be eligible for most patient-assistance programs. NeedyMeds is an excellent website and resource http://www.needymeds.org/ this site should be your first stop in a search for assistance. One more point and one more resource. OTI is a donation/transplantation support group so we would be remiss if we didn’t offer you some resources specifically focused on just us. The following organizations may be able to provide some financial or related assistance to transplant candidates, recipients, living donors and potential living donors. This list is provided as a guide only; individuals will need to contact these organizations to determine if help is available for their particular situation. Donors and recipients should also ask their transplant center for assistance with financial issues. pilots are dedicated to community service. Volunteer pilots perform public benefit flying for health care, patient transport, disaster relief, environmental support, and other missions of public service. Air Care Alliance listed groups may be able to provide free or low cost flights for medical evaluation and surgery for living donors and recipients. Please see the website for details. The American Kidney Fund provides limited grants to needy dialysis patients, kidney transplant recipients and living kidney donors to help cover the costs of health-related expenses, transportation and medication. They provide information and support for kidney donation and transplantation, as well as general education and information on kidney disease. The American Liver Foundation, a national voluntary health organization, has established a Transplant Fund to assist patients and families in fundraising efforts for liver transplantation. The Foundation acts as a trustee of funds raised on behalf of patients to help pay for medical care and associated transplantation expenses, which may include expenses related to a living liver donation. The American Organ Transplant Association is a private, non-profit group that provides free or reduced airfare and bus tickets to transplant recipients and their families. AOTA publishes a newsletter. Patients interested in AOTA’s services must be referred by their physician. The association also assists people with setting up trust funds and fund raising. No administrative fee is charged. Angel Flight provides free air transportation on private aircraft for needy people with healthcare problems and for healthcare agencies, organ procurement organizations, blood banks and tissue banks. No fees of any kind. Volunteers serving the public since 1983. COTA is a national, non-profit agency that raises funds for individuals and families to assist with transplant, living donor, and related expenses. They work with some adults as well as children. All funds raised go to the individual; no administrative fees are collected. If you know someone who is considering becoming a living organ donor (kidney, lung, liver) the National Living Donor Assistance Center (NLDAC) may be able to pay for up to $6,000 of the living donor’s (and his or her companion’s) travel and lodging expenses. The transplant center where the recipient is waiting will apply on the living donor’s behalf. Visit the NLDAC Web site at http://www.livingdonorassistance.org for more details and to read about general eligibility requirements and how the program works. Help Hope Live has over 20 years’ experience empowering people to raise money in their communities to cover uninsured medical expenses. The Nielsen Organ Transplant Foundation provides financial assistance to pre- and post-transplant patients in the Northeast Florida area. The National Foundation for Transplants provides financial assistance & advocacy to transplant candidates and recipients with significant costs not covered by insurance. The TRIO/United Airlines Travel Program Isa cooperative arrangement between TRIO and the United Airlines Charity Miles Program. It provides TRIO members and family members with cost-free air transportation when travel is transplant-related. Visit http://www.trioweb.org/resources/united.html for more information. Bob’s Newheart encourages readers to comment on each of our blogs and to add resources that they find in their own searches. At the onset of this post it is important to point out that capitalism (or the desire to make money) works. If the public demand for any product real or imagined is high enough, someone, somewhere will invest the dollars to develop it and in return they expect a profit. There is absolutely nothing wrong with that. If they are taking the risk, they deserve a profit, even a healthy profit. As a business owner myself I always sought to make a healthy profit. I could easily justify my pricing because it took years of learning and investing my own money to develop a detailed and highly effective method of persuasive communication that would result in helping my clients increase their profit margins. So, on to the question we are addressing. Simple answers always sound good but they are seldom accurate so let’s begin by taking a good look at the problem. Prescription drug prices are very high, higher in the United States than any other developed country in the world. It is estimated that about 48 percent of Americans take at least one prescription drug but the high cost of drugs hits older people the hardest. It is a fact of life that as you age you need more medical attention and must take more prescribed drugs to stay healthy. The cost of drugs for people with chronic diseases, transplant patients, and mental illnesses is in some cases prohibitive. Many patients are faced with making tough choices about how they spend their money and often the choice is between medicine and food, but rather than allude to the problem I will address it head on with examples. Cancer is a condition into which billions of dollars has been poured. The disease offers a great example of research that sometimes results in medication and/or therapy that effectively treats and sometimes even cures the patient. But, and this is a huge but, those who need the drugs the most may also be unlikely to afford them. $10,000 a month for one drug? That is beyond outrageous, right? Detractors would strongly suggest that the price borders on obscene. Well, if you think that is bad, chew on this one. There is now an approved prescription drug that costs $295,000 a year. Let’s digest that piece of information for just a moment. There is now a prescription drug that costs twice as much as a college education and because it keeps you alive you might need to take it for years. There’s a lot of money to be made in treating diseases, probably a whole lot more than in curing them (that’s a topic for another day). NPS pharmaceuticals in Bedminster, New Jersey, the company that makes Gattex says, no patient will have to pay out of pocket for the drug. Instead, it will be covered by a patchwork of insurance, coupons and charitable organizations. They say that commercial insurers will pay for part of the drug, around 70%. The remaining co-pay will be covered by NPS Pharmaceutical’s co-pay assistance plan or–in the case of Medicare patients–by rare disease organizations that get funding help from NPS Pharmaceuticals. About 15% of patients who can’t pay anything will get it for free. But the cost ultimately is paid by everyone through your insurance premiums, taxes or co-pays. NPS would like to have you believe that a quarter of a million dollars for a pill is ok as long as you don’t get the full bill. But is it OK? 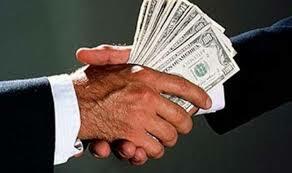 Read on about how drug companies make and spend their money. · While the United States has only 5% of the world’s population, it accounts for 36% of worldwide research and development of pharmaceutical drugs. The industry says that in the next quarter century drug research will save almost three fourths of a trillion dollars in treatment costs for just five Illnesses (Aids, heart disease, cancer, Alzheimer’s and arthritis). As a further example the industry says that drugs developed to treat Schizophrenia which cost the patient about $4,500 a year save patients about $70,000 a year by keeping them out of the hospital. 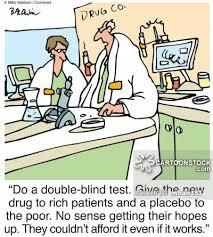 · The drug companies also justify their high prices by explaining that only about ten percent of drugs that go through the clinical trial process get approval from the U.S. Food and Drug Administration (FDA). 0Overall, the case made by the pharmaceutical companies sounds convincing. Drug development is an expensive process and each year scores of companies spend millions to develop promising drugs that either fail to get into trials, fail the trials or complete the trials and are turned down by the FDA. Investors lose many billions of dollars each year on promising drugs that simply don’t live up to their expectations. So, do the pharmaceutical companies make a good case for their high prices? Certainly one could say it is compelling in the manner and context in which it is presented. The icing on the drug company argument might be that because so many foreign governments place a cap on prescription prices American consumers wind up paying the freight for the rest of the world. And…while drug companies blame R&D costs for their high prices insiders also readily admit to pressure to increase profits before drug patents expire with the resultant generic drugs selling for far less with slimmer profit margins. So, in a rather large nutshell, that’s the case made by the pharmaceutical companies to explain the high price of prescription drugs. As former journalist my genetic makeup dictates that I cannot present the pharmaceutical company argument and end the blog. Balance is what makes the teeter–totter a pleasant ride. Without it one end will hit the ground with a resounding, “thump.” Most people assume that a story is balanced when both sides are presented. But, what if there is more to the story? What if there are more than two sides? In the previous paragraphs I offered several angles for justifying high drug prices. Now, let’s try to offer some balance…a few judgments, of course, but mostly balance. The above justification for drug prices makes sense when you don’t have a corporate balance sheet in front of you because we are being told only part of the story. What happens when we ask this question? Do research and development costs comprise the majority of corporate expenditures? If they do, then their argument may be justified but if not it is suspect. Critics of pharmaceutical companies point out that only a small portion of the drug companies’ expenditures are used for research and development, with the majority of their money being spent on marketing and administration. A recent report indicates that pharmaceutical companies spend nineteen (19) times more on self-promotion than on basic research. http://tinyurl.com/bzrpsg6. According to a report in BMJ, a medical journal based in London it is more profitable for drug companies to create a products that are only slightly different from drugs already on the market. The authors go on to say that for every dollar pharmaceutical companies spend on “basic research,” $19 goes toward promotion and marketing and the strategy seems to be working. According to the website MinnPost http://tinyurl.com/mywen48drug company revenues climbed more than $200 billion in the years between 1995 and 2010. MinnPost says that in recent years more than one in five Americans age 50 and up had to cut down on dosages, switch to cheaper generic drugs (if they are available) or quit taking their drugs completely. Often the choice is between medication and food. The argument that R and D costs account for the high cost of prescription drugs erodes when one considers that promotion not R&D is what they really spend their money on. But…the dam begins to spring a whole bunch of leaks with the knowledge that not all, in fact a majority of new drugs come from non-American companies. Here’s a little more water to add to the bursting price dam. As I noted earlier, the U.S. is the only nation that does not have price controls and negotiate our drug prices, so it is true that in a sense, we are bearing the cost of the world’s R&D. But, even conceding that point American drug prices still appear to be excessive — and in fact, drug companies are increasingly pocketing their huge profits rather than reinvesting them. In 2002, 78 new drugs were approved by the FDA. Of those, only 17 were deemed by the FDA to have new active ingredients, and only seven were found to be improvements over the older drugs. On top of that, of the seven found to be an improvement over the older drug, not one of them came from U.S. companies. Not a single drug. Now, to be fair, that is not true in every year but it is true often enough to destroy the defense of high drug prices the manufacturers continue to offer. “For the past decade or so, we’ve been hearing repeatedly about an “innovation” crisis in pharmaceuticals. Big Pharma and its friends in government and elsewhere have claimed that research into new drugs is slowing down, primarily, they say, because of onerous regulatory demands. Let us rely even further on the BMJ report and this startling fact. Most funds for basic research are public funds! So not only is R and D not responsible for high prices, the companies aren’t even paying for the R &D. That money comes primarily from taxpayer dollars funneled through publicly supported research institutions. A cutback on public money for basic research, therefore, would seem to be a key threat to drug innovation. And, yes, research and development costs have risen significantly for drug companies (by an estimated $34.2 billion between 1995 and 2010), but revenues have risen faster (by $200.4 billion within that same time period). Suddenly, that very air-tight case presented by the drug companies that justifies what some call price gouging — suddenly the case is full of holes and not a few distortions. Here, though, is the capper and it is a big one. In the United States, the priciest medicines aren’t necessarily the ones that cost the most to develop, nor are they the ones that save the most lives. The most expensive drugs are those that have no competitors. It’s as simple as that. When there is no competition and the government refuses to intervene the pharmaceutical companies are free to molest the consumer’s bank account. When a real blockbuster drug hits the market, there is very little to guide manufacturers and insurers as they negotiate prices. The largest constraint is public perception. Yes, public opinion still has some effect, not much but some. Insurers fear that, if they refuse to pay at least something, their sick customers will be outraged. 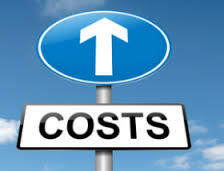 Manufacturers don’t want the public or lawmaking bodies to see them as price gougers (I think we are smarter than that) so negotiators eventually settle on a price between two extreme poles. This, however, is not a common problem. Few pharmaceutical companies face it. Most newly developed and introduced drugs find the market already crowded with competition and it is the competition that ultimately sets the prices. Earlier I said there are rarely just two sides to a story and this story is no different than any other about which I’ve written. The final side is the seedy side, the illegal, greedy and immoral side, the side that should result in people going to jail. It has to do with kickbacks and while there may be very few medical and business professional people involved there are some. This headline got a lot of attention and still is. Less than three years ago, Novartis settled criminal and civil investigations into whether it had illegally promoted drugs to health care professionals for uses not approved by the Food and Drug Administration. The company was accused of providing illegal kickbacks to doctors through such mechanisms as entertainment, travel, and appointment to advisory boards or speaker programs. It paid $422.5 million to settle the case and signed a “corporate integrity agreement” to ensure that its promotional functions would comply with a federal anti-kickback statute. And Pharmacists are not immune from corruption either. Efforts to reduce health care spending have given rise to questionable financial arrangements that may be jeopardizing the health of California patients. Some health insurers are improperly incentivizing pharmacists to switch patient medications to older, cheaper, non-chemically equivalent drugs from those originally prescribed by their doctor, often without patients’ or physicians’ knowledge. That leaves us with the question, “What do we do about this situation? How do we make drugs affordable and accessible to patients? That doesn’t seem to be a topic that the U.S. congress is willing to deal with. In fact, many of our elected officials have great health care plans and don’t have to worry about the high prices. Then of course there are the millions of dollars the pharmaceutical industry spends on lobbying elected officials to resist consumer protection and if the lobbying doesn’t work, they’ll spend millions more on financing the campaigns of those who will, if elected, support them. In closing let me refer to a point made earlier. Companies do respond to public opinion, more accurately phrased, they respond to outrage. The greater the outrage the greater the hazard to their existence so if you want change you must generate outrage and that outrage has to reach two key audiences 1) the congress of the United States and 2) the drug companies. Go for it!